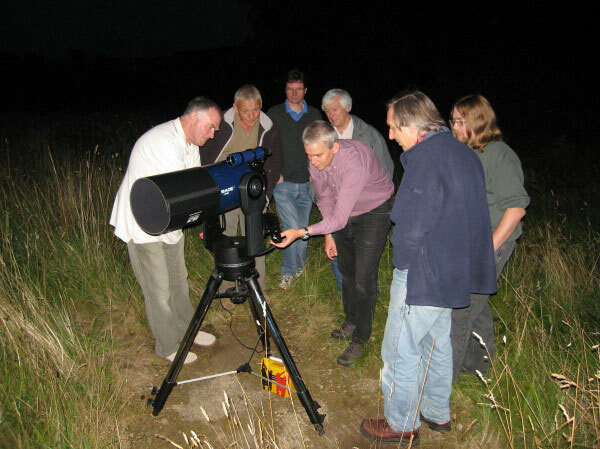 Members get to grips with the control system on the Society's Meade LX-90 telescope at our observing session on Friday 4th August 2006. Picture Credit: Keith Plamping. For an amusing account of this observing session by Tony Hubbard see the Winter 2007/2008 edition of Aries.